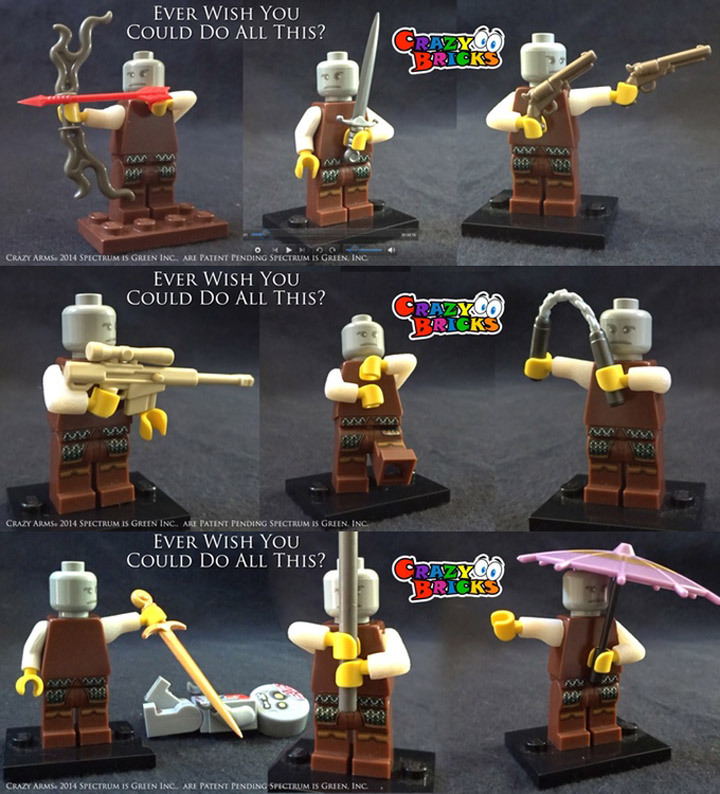 One of the most aggravating things about the Lego Minifigures is their limited articulation. They seem to have a problem reaching their face, or anywhere in front of their bodies. There a a few complicated solutions for this that involve rubber bands, and/or clips. These solutions stick to official Lego parts, but can be very fragile. 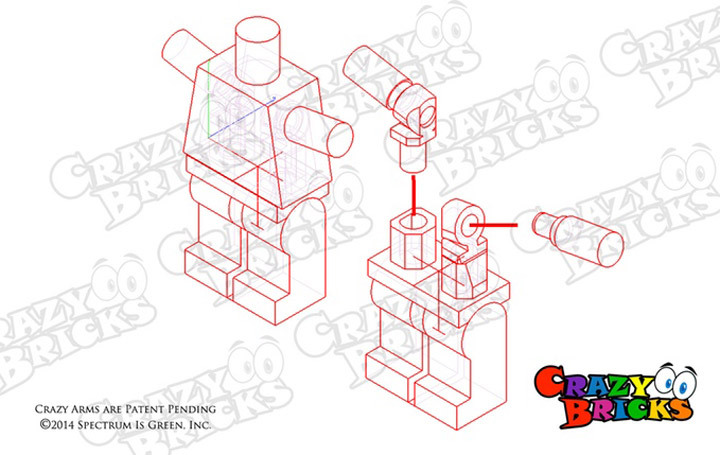 Crazy Bricks has a solution called Crazy Arms. And, the good news is they just released a Kickstarter for their solution (here). 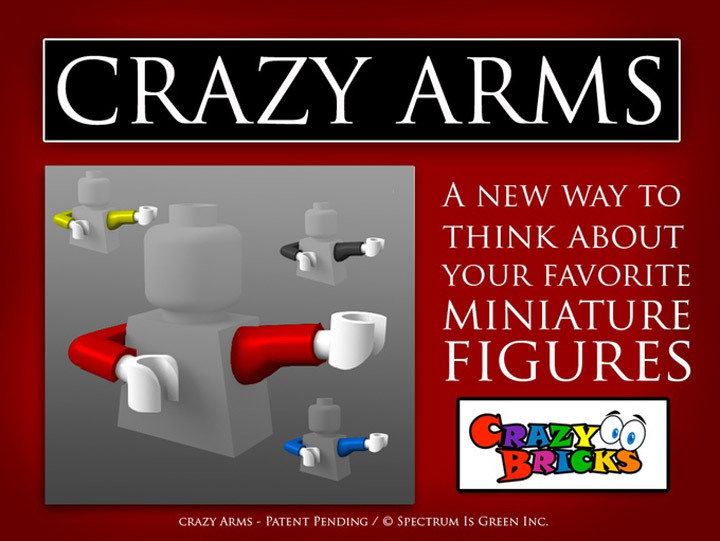 They have found a way to attach their own arms with using a removable and replaceable system that is completely compatible with Lego Minifigures. To start off with they are offering two different arms. One that is posed in front of the torso, and another that is stretched out to the side. These are easily the two most appealing poses.